The estimation of vessel wall motion is valuable for characterising vessel status in health and disease. Following the periodic movement of the heart and the resulting blood pressure variations during the cardiac cycle, the vascular wall performs a complex three-dimensional motion. Wall motion can be quantified through the calculation of a number of kinematic parameters, including displacements, velocities, and accelerations, as well as strain, which has gained attention for characterising tissue function. To estimate vascular motion from images, different imaging modalities can be used, including ultrasound, magnetic resonance imaging (MRI) and computed tomography (CT). Among these, ultrasound imaging is the most widely used technique for vascular motion estimation, due to its wide availability, easy use, high temporal resolution, and possibility to access various central and peripheral vessels. Offering lower temporal but higher spatial resolutions than ultrasound, MRI and CT have been used mostly in aortic kinematics. 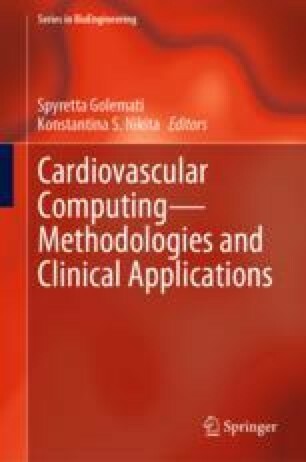 In parallel to the development of sophisticated imaging and analysis methods, which will allow to reveal unexplored aspects of the complex kinematic phenomena of vascular tissue, the systematic application of image-based motion indices to clinical practice is crucial towards improving clinical decision making and ultimately public health.